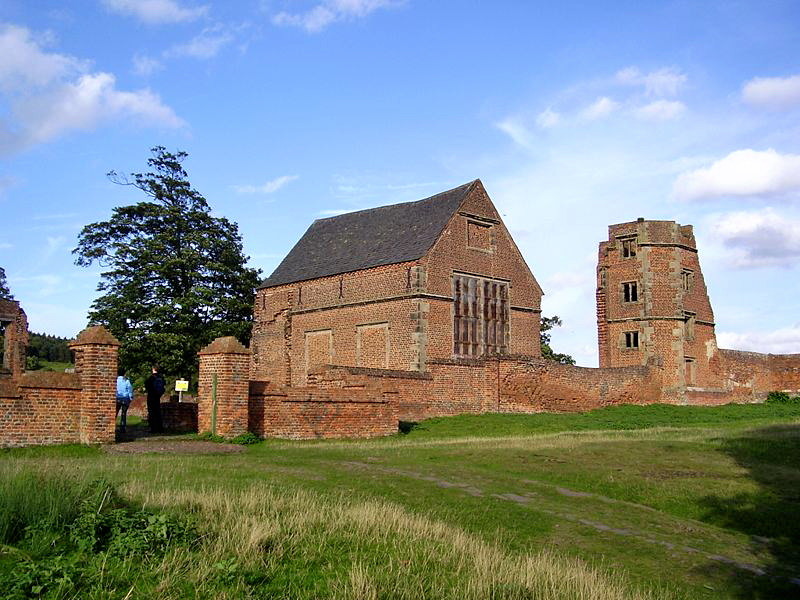 Bradgate Park is in the middle of a village, Newtown Linford, Leicestershire, and is a 850 acre public park in the Charnwood Forest. It is known to have belonged to the de Ferrers family of Groby in the thirteenth century. Later owners included the Greys, of the Lady Jane Grey family, who was Queen for nine days following the death of Edward VI. 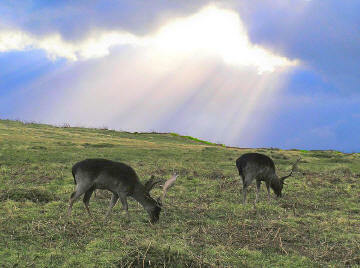 Famous for its herd of fallow and red deer, the former being much more numerous than the latter. The use of the park for deer probably arises from the poor agricultural properties of the land. This can still be seen in the way that the leading branches of trees like oak have died back. Other wildlife you may come across include: moles, common shrews, pigmy shrews, bats, voles, mice, foxes, stoats, weasels and badgers, all of which have been spotted in the park. However it is perhaps less well known for being the habitat of over 500 species of beetle. The reservoir and river also attracts many species of wildfowl. There is a folly at the top of the hill is called Old John and is believed to be named after an old retainer of the fifth Earl of Stamford, who erected it in his memory after John, the retainer, was killed accidentally here. Other structures include the ruins of Bradgate House, chapel and ruined tower. Getting there: M1 J22 Take A50 to Leicester at roundabout take the road on left to Newtown Linford. Access: 3 entrances: the main entrance in Newtown Linford. Also Cropston (Hallgates) and Old John (Hunts Hill). Swithland wood has two entrances, north and south. Public foot paths run through the area. Pay & Display car parks at Cropston Reservoir, Newton Linford and Hunts Hill (at the top of the park near Old John). Opening Times: From dawn to dusk. Notes: Visitor centre with cafe at Newton Linford. Disabled access along tarmac path through centre of park. During the summer months by arrangement you can drive through the centre of the park on Thursdays (NOT between end of October and 1st April). Please let us know any other information that we can add to the Grid(s) or page and any errors that you discover. Before making a long trip to any location it is always wise to double check the current information, websites like magazines may be correct at the time the information is written, but things change and it is of course impossible to double check all entries on a regular basis. If you have any good photographs that you feel would improve the illustration of this page then please let us have copies. In referring to this page it is helpful if you quote both the Page Ref and Classification from the Grids above. To print the planning grid select it then right click and print the selected area. Please submit information on locations you discover so that this system continues to grow.